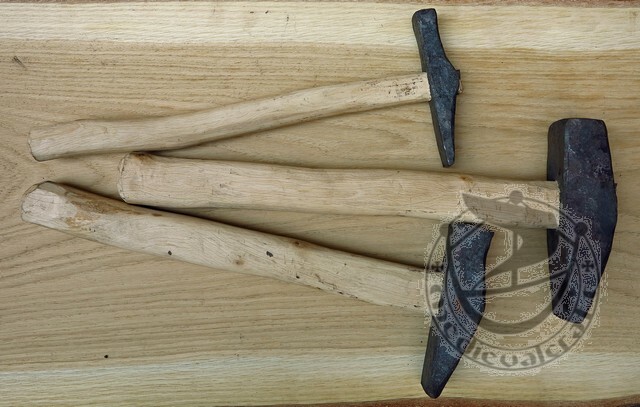 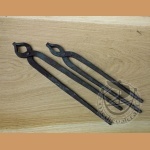 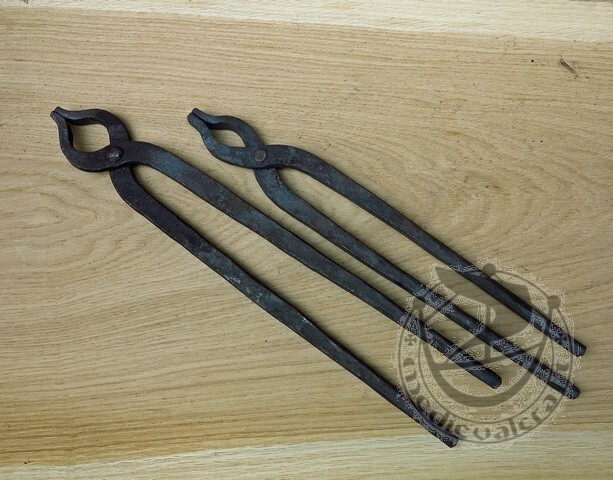 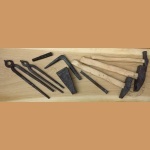 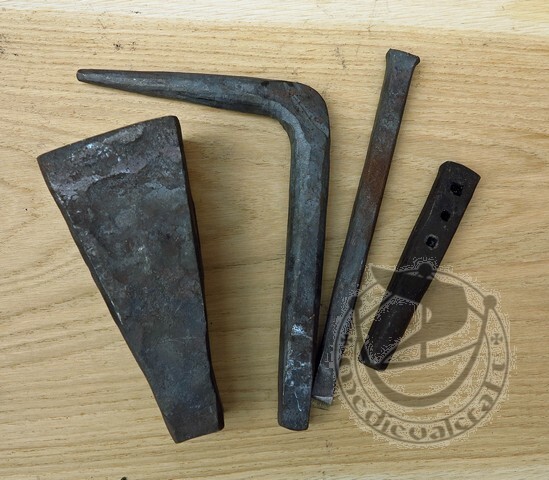 Handmade iron tools dedicated for blacksmith workshop. 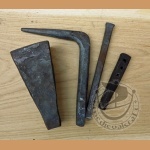 Whetstone - sharpening stone. 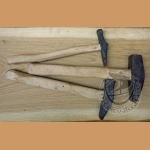 Sandstone, color.